NTS Botech is a specialist in the field of measuring geometrical tolerances. Years of experience have led to extensive knowledge in measuring and understanding flatness, parallelism and rectangularity. NTS Botech is fully equipped for this purpose with acclimatized measuring rooms. We are used to work, on a daily basis, with electronic levels, autocollimators, our 3D CMM, height gauges, roughness- and squarenesstesters. All of this knowledge and experience flows into the product we design and manufacture. In case you have an issue with flatness, parallelism or rectangularism get in contact with our experts. To reach the very high flatness required by many of the applications for which NTS Botech designs and manufactures products the final step called 'lapping' is done manually. Only with our granite and metrological experts a flatness of 0,001 mm per m2 can be reached. All this is done in climatised rooms. Also, the assembly of products is done in these climatised rooms or when needed in our clean room. 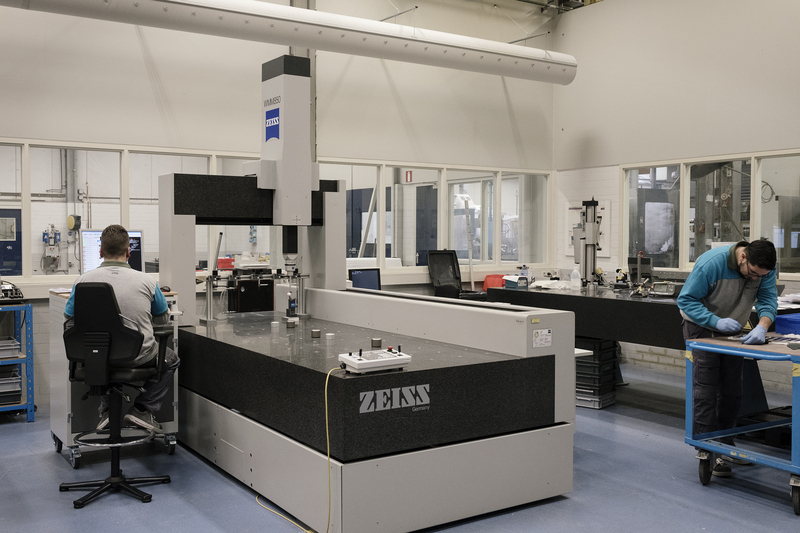 At NTS Botech we have all in-house facilities to manufacture granite precision parts and assemblies. We control the complete supply-chain from raw material (from South Africa) to final assembly. 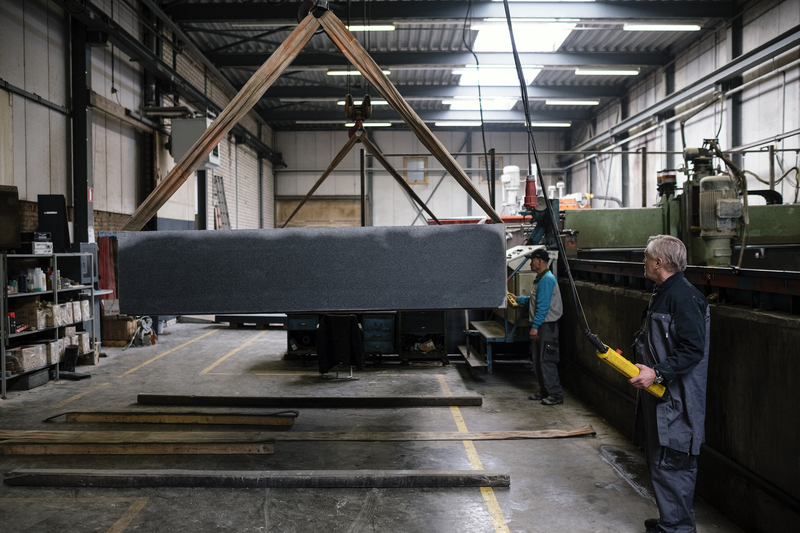 We are very flexible due to our stock of raw material and our own in-house sawing facility. In our fully equipped manufacturing facility, with numerous advanced large CNC-machine centres, the material is processed with diamond tools. Product sizes can vary from small to very large: up to 2,5 x 7 meters in one piece!